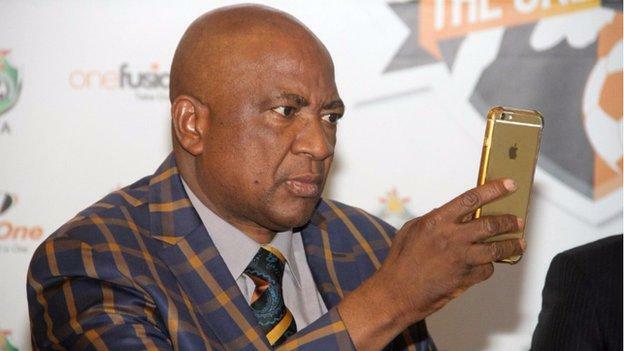 Zifa president Phillip Chiyangwa has come under fire from Zanu-PF structures in Zvimba South constituency following accusations that he rigged the ruling party's recent primary elections. Chiyangwa last month won the contest to represent Zanu-PF in the July 30 parliamentary elections after the ruling party ordered a rerun of the chaotic polls. If he wins the elections, the controversial businessman will succeed former Mines minister Walter Chidhakwa, who was fired from the ruling party for allegedly being a member of a faction that supported former president Robert Mugabe known as G40. However, some ruling party supporters including losing candidates in the primary elections claimed Chiyangwa used money and other underhand tactics to win the internal election. Zandile Maseko, a losing candidate, claimed the Zifa president had no grassroots support. ‘‘If people are going to vote for Zanu-PF it will not be because Chiyangwa is popular. It will be about the party,'' she said. ‘‘We have no option but to protect our party. "Unfortunately, with him as the party candidate, it will be difficult for people to vote for us." Maseko said Chiyangwa was only popular with the party's top leadership and did not connect with the grassroots. Paul Dinha from ward 32 said Zanu-PF supporters in Zvimba South were not given an opportunity to vote for a candidate of their choice. "The primary elections were not held in a free and fair manner," he said. "A lot of people were disenfranchised and the party will pay dearly when the real election comes in July." During the last parliamentary elections, Chiyangwa was humiliated by MDC-T candidate Peter Maturutse before switching constituencies to Zvimba South. Chiyangwa was livid when contacted for comment about the accusations that he rigged the election. ‘‘Who are you? What have you to do with Zanu-PF and its electoral processes? For your information, I am accountable to the Zvimba South voters, not you," he fumed. He said he won the election fairly. ‘‘Do you think I can influence the outcome of the election process? Who are you, young man? Are you from Zvimba? To hell with you, man," he charged. "In fact, do not ever phone on this number as I am blocking you now." President Emmerson Mnangagwa last week told aspiring Zanu-PF MPs that he was aware that some of them won the ticket to represent the party in the forthcoming elections after bribing voters.